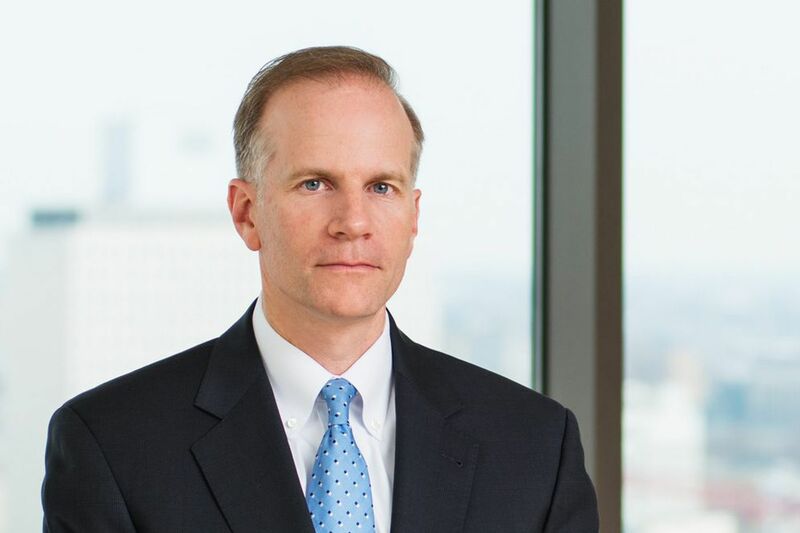 President Trump on Wednesday nominated Drinker Biddle and Reath law partner William McSwain to be the next U.S. Attorney in Philadelphia. William McSwain, a former federal prosecutor and a partner at a Center City law firm, was nominated Wednesday by President Trump to become the top Justice Department official in Southeastern Pennsylvania. If confirmed by the Senate, he would set priorities for federal law enforcement in the region while leading the 130-lawyer U.S. Attorney's Office in Philadelphia. He previously worked in the office as a line prosecutor for three years before leaving to join the firm Drinker, Biddle & Reath in 2006. Although most of his work since then has focused on white-collar defense, McSwain gained notice from Pennsylvania Republicans with his legal defense of traditionally conservative causes – including courtroom fights over the Boy Scouts' ability to ban gay members and efforts by Chester County to preserve a Ten Commandments plaque on the courthouse façade. He was recommended for the post by Pennsylvania Sens. Pat Toomey, a Republican, and Bob Casey, a Democrat. "In addition to his vast amount of experience in both the private and public sectors, Mr. McSwain is committed to the rule of law and is dedicated to ensuring everyone is treated fairly under it," Toomey said in a statement. "I have no doubt that Mr. McSwain will serve the Eastern District of Pennsylvania with honor and distinction." A former Marine infantry officer, McSwain, 48, of West Chester, earned his law degree from Harvard, where he was an editor of the Law Review. He has donated thousands of dollars in recent years to the political funds of Republican candidates, including Toomey and U.S. Rep. Ryan Costello of Chester County. During the 2016 presidential campaign, he donated $1,500 to Republican Jeb Bush, records show. He did not donate to Trump. As U.S. attorney for Pennsylvania's Eastern District, McSwain would oversee an office that handles federal prosecutions and civil matters in Philadelphia, Montgomery, Delaware, Chester, Berks, Bucks, Lancaster, Lehigh, and Northampton Counties. His long-expected nomination comes nearly four months after Trump nominated candidates to lead Pennsylvania's other U.S. Attorney's Offices in Pittsburgh and Harrisburg. Both have been confirmed. Also Wednesday, Trump nominated Delaware County Court Judge Chad F. Kenney to serve as a federal district judge in the Eastern District of Pennsylvania.